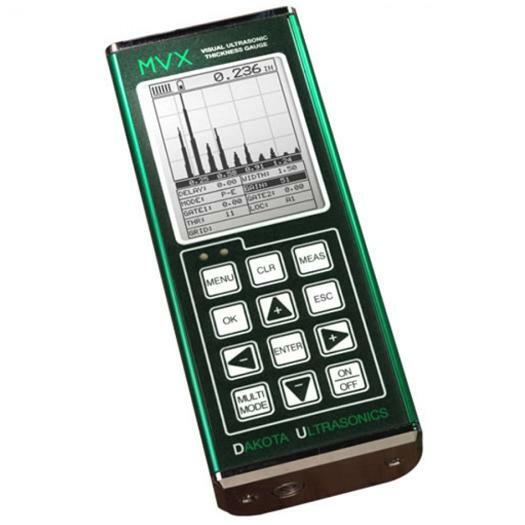 MX5 DL Digital Ultrasonic Material Thickness Gauge provides users the ability to field calibrate on the fly with additional features such as audible and visual alarm mode, differential mode. In alarm mode, the user can set a nominal thickness value. 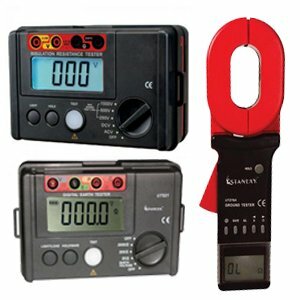 When measurements fall above or below the set nominal value, a red light and audible beeper is displayed and sounded. 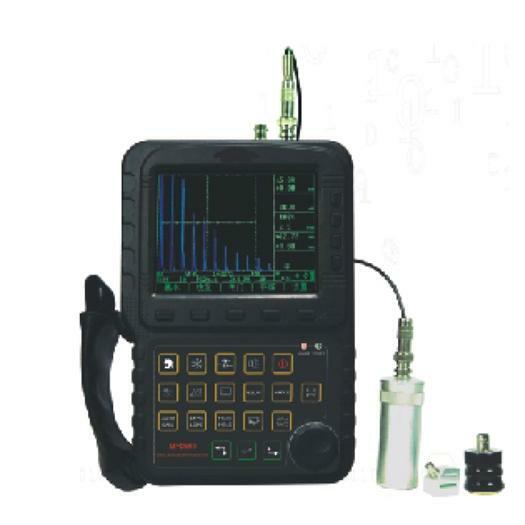 In differential mode, the user sets a target thickness value and ultrasonic thickness gauge will display the difference (+/-) from the target value. 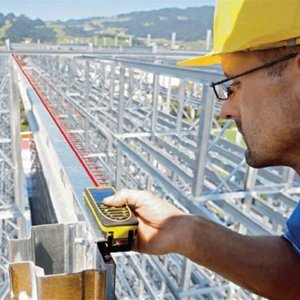 Equipped with an RS232 port out which enables the user to send measurements to an external data collection device or directly to a PC. 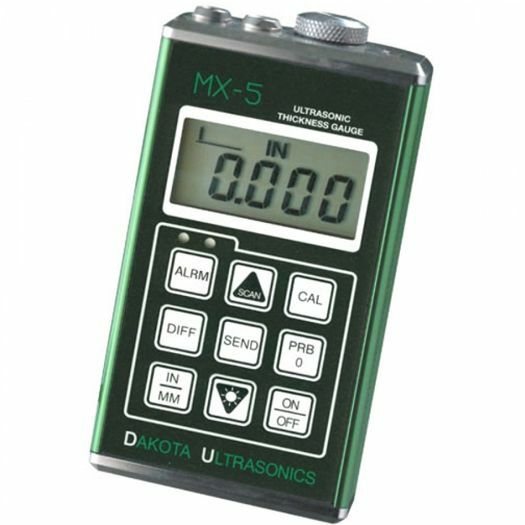 The Dakota MX-5DL ultrasonic thickness gauge has all the features of the MX-5 plus an internal data logger that stores a total of 1000 readings in 10 files of 100 readings per file. This gives the user the ability to store, and download the stored measurements directly to a PC using DakView software program. 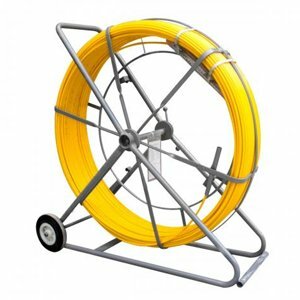 (63.5 W x 114.3 H x 31.5 D mm). Extruded aluminum body with nickel-plated aluminum end caps (gasket sealed). 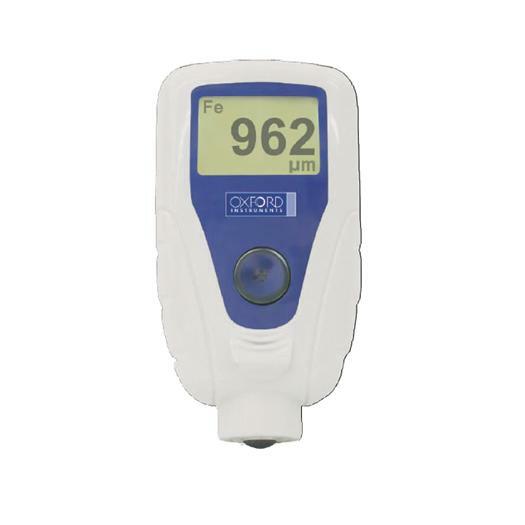 Range Measures from 0.025 to 19.999 inches (0.63 to 500 millimeters). 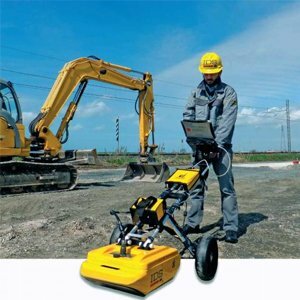 Four readings per second for single point measurements, or 16 per second in Scan Mode - captures the minimum thickness. Alarm Mode Enter a minimum acceptable thickness value. If measurement falls below minimum, red LED will illuminate and sound beeper. If measurement is above minmum value, green LED will illuminate.